For businesses of all sizes, phone system management can represent a significant pain point for information technology staff. Research indicates that the top reasons for a phone system upgrade or switch to voice over IP (VoIP) telephony include dissatisfaction with existing system scalability, pricing, or a lack of "modern" features." If you're considering switching to VoIP or upgrading your current system, the simplicity of phone system management may be a critical consideration. Few organizations can afford to allocate additional tech hours or hire new staff to accommodate the demands a difficult-to-use phone system can put on existing personnel. Whether your current system is challenging to manage, or you're wary of an upgrade that will prove to be a headache, understanding the top ways to improve ease of management is important. In this blog post, you'll learn some of the ways the smartest organizations simplify their phone systems when switching to VoIP services. Regardless of how large your company is, your phone system should never be more of a headache than it's worth. Instead of complex conversations with your telephony provider, managing a VoIP system resembles many other software-as-a-service (SaaS) applications your organization already uses. It's easy to learn, and accessible from anywhere in the world they have an internet connection. If you choose to manage your own VoIP entirely, your administrator will have the ability to make changes and updates from a single, centralized web portal. Older, legacy systems may actually run a proprietary interface that only trained personnel know how to run. Using a web-based system that can be modified with a browser is a much simpler method to use when managing the telephone system. 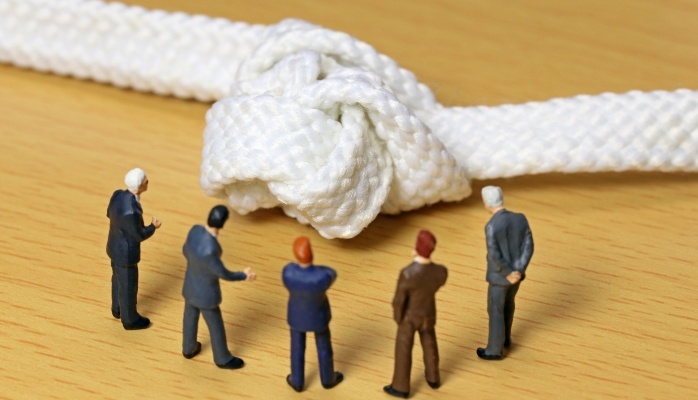 VoIP offers the truly unique benefit of a "set it and forget it" approach to call handling. VoIP Info describes system management that can operate as an "auto-attendant" for complex call handling rules. Does your system need the ability to manage the time of day and day of week tasks? Complex tasks that involve finding employees or retrieving information from your accounting software? No problem. While it takes time to establish the appropriate rules and menus for automated, advanced call handling, VoIP offers the unique benefit of a single setup and simple updates in the future. Is your phone system a never-ending headache? Does a world where you don't need to worry about management or upgrades seem like your idea of bliss? Hosted VoIP places the responsibility of installation, configuration, and support squarely in the hands of your vendor. You won't need to worry about testing for quality of service (QoS), solving issues, or ensuring that you've acquired the latest technologies. Upgrades to the PBX are performed in the cloud, often unbeknownst to you, adding additional features and benefits on an ongoing basis. If you're considering hosted VoIP, selecting the right vendor is key. You want a hosted provider with a stellar record of responsive customer support. Ensure any prospective hosted vendors provide specific details on an agreed-upon level of support, and reliable references to support their candidacy. While VoIP is often touted as a practical solution for small businesses to save costs, the truth is, organizations of any size can appreciate significant financial benefits. It's possible to remotely manage VoIP from anywhere with an internet connection, allowing your organization to take advantage of a single VoIP administrator or outsource your support entirely to your provider. VoIP completely eliminates a company's need for "truck rolls," or the dispatching of service staff to solve a problem on-site. While costs can vary significantly according to the extent of a customer's problem and geographic region, companies will typically realize at least $150 savings each time a VoIP issue can be resolved remotely, and a truck roll isn't necessary. Bring-your-own-device is among the biggest information technology pain points for business. As smartphones and tablets become increasingly ubiquitous technologies for professionals, IT departments are grappling with practical ways of supporting the new mobile workforce. 60% of professionals believe that physical attendance at their office isn't required for productivity. VOIP allows mobile professionals to be reached at a single number from any device. Thanks to easy-to-use and install apps, individuals can take calls and check voicemails on their work line from personal or work-issued tablets and smartphones. This eliminates the need for sophisticated contact information management or having to juggle both a plain old telephones (POTs) system in-office and company-issued mobile devices to essential personnel. VoIP is deceptively simple to install and configure. The best providers allow information technology staff to make changes and configurations from a centralized web portal that's as simple as "point and click" and "drag and drop." There's no learning curve for anyone with at least moderate computer literacy skills. Your IT staff won't need to acquire a new programming language or muddle through user manuals to make necessary changes to your phone system. Internal call routing and phone tree management can be made a great deal simpler with context-relevant help systems, which combine customer service with artificial intelligence technologies. These phone systems can use both voice recognition and contextual queues from customers, which can be integrated with your customer database, website, and other informational resources. Smarter customer service on your phone system can lessen the demands on your customer service team and lead to happier customers. VoIP telephony services aren't just less expensive and easier to scale. They eliminate many of the headaches and high costs associated with traditional business phone system management. If your organization is investing countless man hours dealing with a plain old telephones or a VoIP provider that needlessly complicates your operations, taking advantage of one of the newest and greatest VoIP technologies to simplify management is well worth your time. 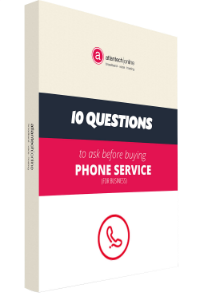 For more insights on simplifying phone management with the right VoIP vendor, check out our FREE eBook 10 Questions to Ask Before You Buy Fiber, Phone, or Data Center for Your Business.